19 March 2015 | It’s gospel for some in the environmental community that if we keep converting crops to biofuels, we’ll gobble up farms and forests, leading to food shortages and accelerating climate change. The World Resources Institute recently went so far as to say we should “phase out” a decade of global bioenergy policy. This would be a mistake, because bioenergy, done well, can and must play an important role in restoring degraded land, supporting food production, and enhancing CO₂ sequestration. To begin with, it’s indispensable in nearly all scenarios for adequately addressing climate change: in its Fifth Assessment Report, the Intergovernmental Panel on Climate Change indicates that failing to deploy the needed amounts of bioenergy would increase the costs of addressing climate change by 60%, more than any other renewable energy technology, including solar and wind. What’s more, bioenergy is one of the only technologies that can help us bring emissions back down after they’ve reached dangerous levels, which is very likely to happen, especially when combined with carbon capture and storage technology. The key for bioenergy, however, is “done well.” What does that mean? Let’s look at three simple examples of how bioenergy production can slow climate change at significant scale by reducing fossil fuels without gobbling farms and forests. The first involves integrating sorghum, an energy grass, and rice production. The UN Food and Agricultural Organization tells us that rice paddies take up 163 million hectares globally, an area about the size of Alaska. Rice farmers generally leave their paddies fallow, or resting, one year out of three. If we used this fallow time to plant sorghum, we’d get 7 dry tons of biomass per acre, or 938 million tons total each year, enough to offset half of annual U.S. gasoline consumption. Closer to home, we can look at active pastureland. Ranchers can rotate their herds so that, in summer, pastures can be used to grow perennial energy grasses, like switchgrass, and in winter cattle can graze on cold-season grasses, like ryegrass. If this approach were implemented on half of America’s 587 million acres of pastureland, we could produce 91.5 billion gallons of ethanol, or 60 percent of current U.S. gasoline consumption. A third example is removing invasive woody brush found extensively throughout native grassland in the south and western United States. In Texas alone, we can sustainably recover several million tons of biomass annually, while increasing pasture productivity, restoring native grasses, and increasing the amount of carbon that gets sponged up by healthy soil. Obviously, these approaches won’t work everywhere, and to see them implemented on any significant scale we’d have to see dramatic changes in the energy and agricultural sectors – but that can be achieved with strong market signals, policy support, and landowner engagement. The same math applies to degraded land, of which there’s too much, according to the UN Convention on Combating Desertification. More than 7 billion acres, or three times the size of the United States, are degraded. This costs the global community $40 billion annually in lost productivity, and it threatens food production and rural livelihoods. The objective of food and energy policy should be intensely focused on bringing these lands back into productivity. Rather than abandoning bioenergy, smart policy would encourage growing biomass as a way to build soil carbon, retain and increase soil moisture and nutrients, and create new value for rural communities. 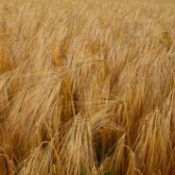 Well-designed food security policy would use biomass crops as one tool to improve landscapes and, ideally, allow them to be rotated back into food production. Critiques of bioenergy and biofuels indicate we shouldn’t use marginal land incapable of food production for biomass crops, but instead let it revert back to natural forests or other high-carbon landscapes to maximize carbon sequestration. Fair enough, but why not do both where possible? The simple fact is that you usually need human management to successfully restore abandoned or marginal landscapes, because you have to reintroduce native species and natural cycles. Smart restoration can allow for both additional carbon sequestration and biomass recovery. For example, when reestablishing native grass communities on degraded prairies, the reintroduced grasses can be harvested periodically to replicate the kinds of fires that always happened naturally, providing a source of bioenergy, keeping invasive species at bay, and maintaining diminishing grassland habitat. Because restored prairies store most of their carbon in their extensive root systems, they often increase carbon stocks, even if aboveground biomass is harvested periodically. Another interesting example is the restoration of pine savannah ecosystems in the U.S. southeast, considered critical to the survival of 40 rare and threatened species. Characterized by widely-spaced pines and periodic fires that promote grasses, pine savannahs can be some of the most biodiverse landscapes outside of tropical rainforests. Restoring this ecosystem often requires removing trees and underbrush to allow sunlight to reach the ground-level grasses. Regular “thinning” like this can keep pine savannahs healthy while also generating biomass. To sum up, it is useful to highlight potential trade-offs among bioenergy, food production, and carbon sequestration. But rather than concluding that bioenergy should be abandoned, policy makers, rural communities, and the private sector need to work together to implement bioenergy approaches that can generate win-win-wins for food, climate, and ecosystem restoration. Emily McGlynn is Manager for Business Development and Policy at The Earth Partners LP. She can be reached at emily.mcglynn@teplp.com.